A parliamentary panel has expressed its deep concerns over the continued incidents of mishaps involving aircraft of the Indian Air Force, resulting into loss of precious lives and huge money. In its latest report, the Standing Committee on Defence said the data on accidents that took place in the IAF the last eight years, is baffling. “As many as 87 accidents had taken place, which works out to be more than 10 per year. In these accidents, as many as 75 lives were lost,” said the report, tabled in Parliament. A report in Russia & India Report looks at some factors that contribute to the IAF’s high crash rate in comparison with the Chinese, Russian, Vietnamese and Indonesian air forces. More than 200 Sukhoi Flankers currently form the core of the Indian Air Force’s strike element, for a planned force of over 272 Su-30 fighter-bombers. India received the initial batch of Sukhois in 2002. The first of these aircraft crashed in 2009, and since then we have been losing 10 aircrafts every year. Now let’s look at the Sukhois in other air forces. The People’s Liberation Army Air Force (PLAAF) has 150 Flankers of Russian origin and 229 Chinese knockoffs. That’s a total of 379 aircraft, for an eventual figure of 400 Russian made Flankers, derivatives and illegal copies. And yet the PLAAF has lost fewer Sukhoi in crashes. Are the Chinese Sukhois better maintained, better built or are Chinese pilots simply playing it safe? The Russian Air Force has a total of 438 Flankers. Again, the Russian Sukhois don’t tumble out of the air at a rate close to the IAF’s. Similarly, there have been no reports of Flankers of the Vietnamese and Indonesian air forces being involved in crashes. The report cites different factors contributing to the IAF’s performance from intense training, harsh environment, missing trainers, shoddy maintenance and a depleted air force. Although these factors contribute to the recent state of affairs, there are certain inherent historical factors that have set in motion a system which perpetuates these shortcomings. The Indian army was predominantly an army of 300 odd Kingdoms leased to 30000 odd British officers and their occupied Indian territory soldiers. These are the soldiers who won every war the British fought including the Opium Wars with China, First and Second World Wars etc. By 1857, after more than 150 years when the British first landed in India; British occupied 51% of Indian territory which was merged with British Empire under the proclamation of Victoria, the then British Queen. British mercantile government realized that if it took them 150 years to fight and conquer 100 Kingdoms, it would take another 100 years to conquer the remaining kingdoms. So they came to an agreement with the Kingdoms that the Kings would not fight British till they rule and support British in all their international adventures. For that they would train the Kingdom forces and supply all needed weapons. This way British kept Indian Kingdoms from research into weapons technology and also prevented them from interacting with other European, American, Russian governments for weapons supply or strategic partnership. Kingdoms accepted the proposal under the Theory of Paramountcy so that they could bring temporary truce and prosperity to their people. The unusual agreement unprecedented in the history of colonialism gave birth to one of the mighty fighting forces on the world outside European domains, the Indian Imperial Armies along with the British Indian Army. This dependency on weapons on British/Europeans became a fateful rule from then till now killing every research and self-sufficiency in weapons technology in post Independent India. India has one of the mightiest army in the world. Its prime purpose is to protect the population of India within the borders. Along with the geographical division of India into India and Pakistan, Indian army was also divided during partition. Very soon the same armies were fighting each other and the same geopolitical players involved in partition were supplying defence equipments to both the countries, making huge kickbacks from it. Even to this day an atmosphere of terror and tension is sustained with every skirmish, border standoffs, acts of terror etc., where again the same geopolitical players are seen operating from behind the scenes and bagging huge defence contracts in return. 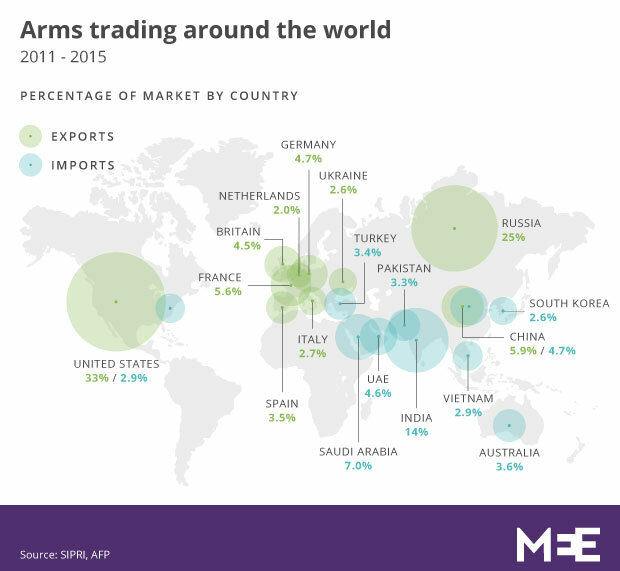 India continues to remain the world’s largest arms importer, accounting for 14% of the global imports in the 2011-2015 timeframe. 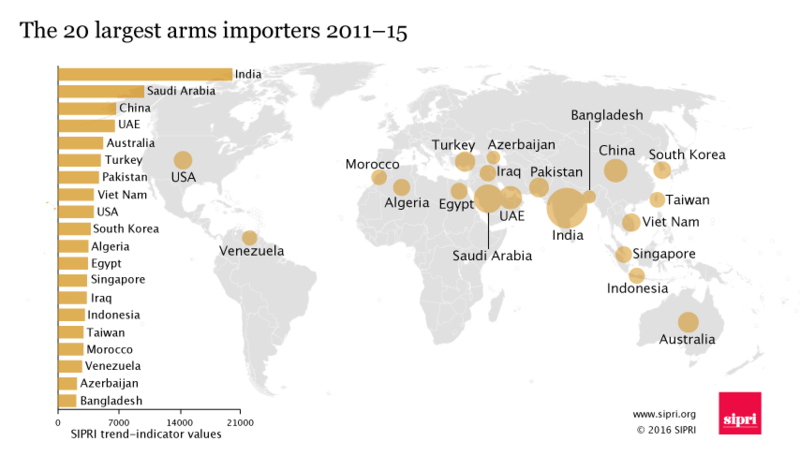 The latest data on international arms transfers released by a global think-tank, Stockholm International Peace Research Institute (SIPRI), also shows India’s arms imports remain three times greater than those of China and Pakistan. Its biggest suppliers are Russia, the US, Israel and France. India has spent over $120 billion on arms acquisitions over the last 15 years, most of them from foreign suppliers, and will spend much more than that in the coming decade. The import bill is further set to zoom upwards with some major deals, without any Make in India component, in the pipeline. This includes the direct purchase of 36 French Rafale fighters for over Rs 60,000 crore and the Rs 39,000-crore acquisition of five advanced Russian S-400 Triumf air defence missile systems. As reported in The Sunday Standard of the New Indian Express the country’s premier defence research agency, DRDO, which is tasked to develop indigenous military hardware, is still dependent on imported components. Despite the government spending crores over three decades, the country’s first indigenous light combat aircraft (LCA)—Tejas—still has nearly half of its components imported. Even the engine comes from the US. Besides the engine (GE F 404), ejection seat (Martin Baker), missile (R 73 E) and the multi-mode radar (Elta) are among the prominent import contents in Tejas. Only the control system and airframe are indigenous. Thus, the question on the authenticity of ‘indigenous’ armoury remains. Not just Tejas, DRDO scientists still depend on foreign suppliers for over 35 per cent of their requirement to manufacture Combat Free Fall System for Special Forces troops. Combat Free Fall System consists of Parachute system, life support system for oxygen supply, protective clothing, and equipment. They also comprise jumpsuit, communication helmet, gloves, boots, goggles and jack knife. The story is nothing different for the indigenous Arjun main battle tank. Sanctioned in May 1974, 55 per cent of the tank is still made of imported elements, and the fire control system has been developed by Elbit Systems in Israel. Though DRDO claimed to have developed military hardware inducted into services or in the process of induction to the tune of `1,90,000 crore, the key missiles systems and airborne early warning and control systems still has a majority of foreign components, despite being called ‘indigenous’. Defence Minister Manohar Parrikar in his written reply in Parliament has listed the percentage of import content in some of the major DRDO systems, which has exposed the tall claims of the defence research agency. The list includes its Nag Missile, which has 35 per cent imported material, BrahMos has 65 per cent and Long Range Surface to Air Missile has 60 per cent. Nag-Anti tank missile had recently failed in the trials. CAG of India had stated that 70 per cent of the products that DRDO produces are rejected by the armed forces. Others are delayed for decades. As a result, the Indian Armed forces are seeing an unprecedented destruction of indigenization process of domestic technology and ingenuity. Except a dozen organizations working despite fund cuts in an over drive to produce indigenous defence equipment, rest are all racing to fulfil western armaments orders from rifles to caskets, war ships to long term maritime flights (surprisingly all without advanced electronics which makes them mere expensive toys for poor Indians) for a national non existing emergency. The often cited reason is that indigenization takes time and we lose valuable time in war that is going to come every year. While China was able to successfully clone the deadliest of nuclear warheads W-88 fitted on elusive trident missiles, which except US none has or while China was able to develop indigenous technology that can conceal the heat signature of the exhausts of their brand new stealth J 20 bombers, India is racing to fulfil defence orders of Israel, USA, Britain, France etc. 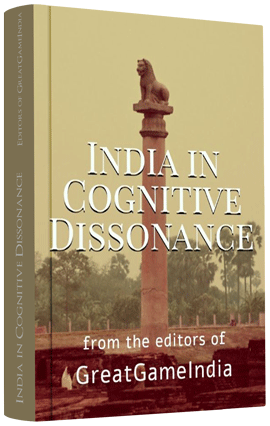 The rigorous use of the intellect in understanding the intricacies of geopolitics should perhaps be the foundation for the next step of India’s response to these dilemmas. Just as the complexity of the lights dotting the night sky can be figured out as following definite laws by determined Astronomers, so also determined social researchers can put forward models that answer questions about social events with reasonable rigor. There are several places where this is already being done. This is, in a good sense, the foundation of the science of Geopolitics. It is the study of History with the intent to find out laws that will enable predictions in the domain of today’s power dynamics. Sadly, this is a far cry from the approach adopted to the teaching of History in India today, where a Macaulayan education system dumps thousands of irrelevant facts into young minds effectively resulting in mental constipation. Help keep our research going. Subscribe to GreatGameIndia – India’s only quarterly magazine on Geopolitics & International Affairs.